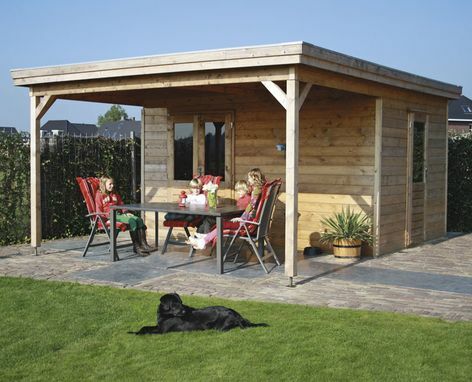 A very versatile cabin with covered area. The roof is constructed in 2 layers. The roofing material consists of a one piece rubber matting edged all around with aluminium strips. Size approximately 3.0m x 4.8m in 44 mm log thickness. 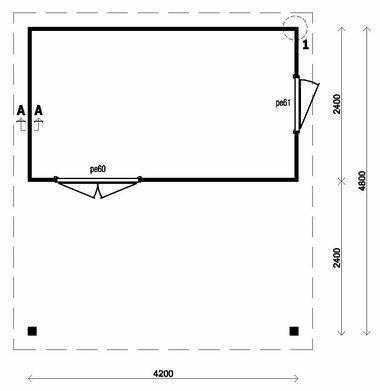 The standard design includes 1 double door PE60H and 1 single door PE61H. The canopy overhangs by 2.4m and the posts are 12 x 12cm.